Last month, September of 2017, Roble Shipping has finally sailed to Oroquieta, the capital of the small Mindanao province of Misamis Occidental (which actually hosts a lot of ports and among them are Ozamis and Plaridel ports). It is maybe the first port of call in Mindanao ever for Roble Shipping and it is actually a long-delayed move already for Roble Shipping as their namesake-to-the-city Oroquieta Stars has long been in the news that she will sail for that city and port since late last year (but since then although the ship is already ready she was just sailing for Hilongos in Leyte). I have been observing Roble Shipping for long already and watched its consistent growth both in passenger shipping and cargo and even in cargo RORO LCTs in the recent years. But I am puzzled with their moves or more accurately their lack of moves in developing new passenger routes that their cousin shipping company and Johnny-come-lately Medallion Transport which with their courageous moves in developing new routes seems to have already overtaken them in passenger shipping (it even reached Mindanao ahead of them when Medallion’s Lady of Good Voyage plied a route to Dipolog). Roble Shipping is actually one shipping company that has more ferries than routes, the exact opposite of another shipping company I am also observing which is Trans-Asia Shipping Lines Inc. (TASLI) which in their tepidness in acquiring replacement ferries has more routes than ferries now. Does that mean the two shipping companies needed a merger? Just a naughty thought but that is actually impossible now as Trans-Asia Shipping Lines took the easy way out of their troubles which is selling themselves to the Udenna group of new shipping king Dennis Uy which is flush in money nowadays and might not need any help. I remember that before Roble Shipping has an approved franchise to Nasipit but they never got about serving that route from Cebu. To think they had the big and good Heaven Stars then, a former cruiseferry in Japan then which should have been perfect for that route. However, that beautiful ship soon caught unreliability in her Pielstick engines and I thought maybe that was the reason why Roble Shipping was not sailing the Nasipit route (which actually had the tough Cebu Ferries and Sulpicio Lines serving it then and might really be the reason why Roble Shipping was hesitant). But then calamitous fate befell Sulpicio Lines when they got themselves suspended after the horrific capsizing of their flagship Princess of the Storm, sorry, I mean the Princess of the Stars in a Signal No. 3 typhoon in Romblon. In the aftermath of that Sulpicio Lines sold for cheap their Cebu Princess and Cagayan Princess to Roble Shipping in order to generate some immediate cash and anyway the two ships were suspended from sailing and were of no use to them. With the acquisition of the two, suddenly Roble Shipping had some serious overnight ships after the Heaven Stars which was then not already capable of sailing regularly especially when the good Wonderful Stars already arrived for them to compete in the Ormoc route. And one of the two was even a former pocket liner, the Cebu Princess. 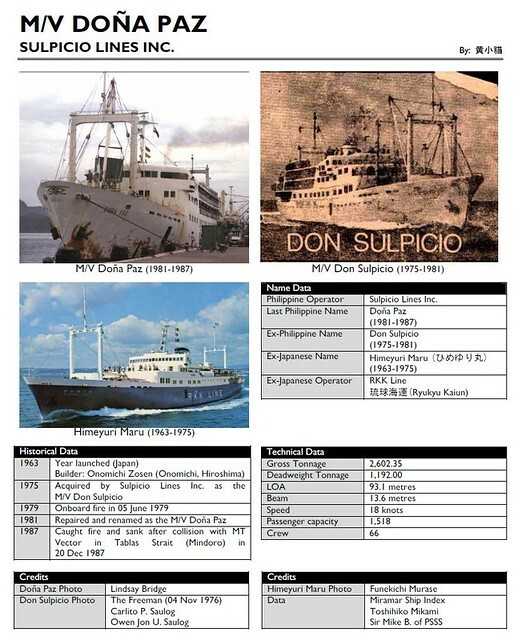 One of the two is actually a veteran of the Nasipit route, the Cagayan Princess which was fielded there when Sulpicio Lines already had a better ship for the Cebu-Cagayan de Oro route (the ship was named after that city actually as it was the original route of that ship) and their Naval, Biliran route bombed. But no, the two ships just collected barnacles in the Pier 7 wharf of Roble Shipping, not sailing. I thought maybe there were still ghosts prowling the ships as they were used in the retrieval efforts on the capsized Princess of the Stars. Or maybe they wanted people to forget first as denying the two ferries came from Sulpicio Lines is difficult anyway. The Cebu Princess and Cagayan Princess finally sailed as the Joyful Stars and the Theresian Stars but not to Nasipit but to Leyte (again!). I thought maybe Roble Shipping got cold feet in exploring Mindanao. And to think the service of the once-powerful and proud Cebu Ferries was already tottering then and everybody knows Gothong Southern Shipping Lines won’t last long in the Nasipit route with their Dona Rita Sr. (they eventually quit and sold their passenger ships). With a surplus of ferries in their only routes which are all to Leyte (Hilongos and Ormoc), eventually their legendary cruiser Ormoc Star rotted in Pier 7. Soon, Roble Shipping got a reputation of laying up a lot of ships in Pier 7 (this is very evident when one takes a ride aboard the Metro Ferry ships to Muelle Osmena in Mactan island). They are all huddled up there including the cargo ships. Maybe as protection for the cold so they won’t catch flu (rust, that cannot be evaded). Two sisters ships also joined the fleet of Roble Shipping, the former Nikel Princely of Aleson Shipping Lines of Zamboanga and the former Filipinas Surigao of Cokaliong Shipping Lines. The two became the Blessed Stars and Sacred Stars in the fleet of Roble Shipping, respectively. However, although one route was added, the Baybay route of the former Filipinas Surigao (which is again in Leyte) there was no other route except for the route they opened in Catbalogan in the aftermath of the demise of Palacio Lines, the Samar native shipping line. With their small ferries Roble Shipping also tried a route to Naval, Biliran which was formerly part of Leyte. I thought maybe Roble Shipping really loves Eastern Visayas too much that they simply can’t get away from it. Two more ferries came, the former vehicle carriers TKB Emerald and Taelim Iris which slowly became the Graceful Stars and Oroquieta Stars, respectively (but then the Wonderful Stars was no longer wonderful as she was already out of commission after a fire in Ormoc port). Still the two just sailed to Leyte. And eventually, Roble Shipping quit Catbalogan which is a marginal destination to begin with because of the intermodal competition (trucks are loaded to western Leyte ports and just roll to Samar destinations and passengers also use that route). Roble then transferred the two sister ships Blessed Stars and Sacred Stars to become the Asian Stars I and Asian Stars II of the Theresian Stars, the new shipping company which was their joint venture with a former Governor of Sulu province. The two should have been alternating the the overnight Zamboanga to Jolo ferry route. But nothing came out of the venture and soon the two were back in Cebu. Technically, that was the first venture of Roble Shipping to Mindanao but not under the flag of Roble Shipping. I thought Roble Shipping was really allergic to Mindanao but soon I was disabused of this thought when the news came out that definitely Oroquieta Stars will sail to Oroquieta City after supposedly some requirements were ironed out. That is good as some things will then be tested. Oroquieta is actually too near the Plaridel port which competitor (in Leyte) Lite Ferries is serving and which the defunct Palacio Lines was serving before. Roble Shipping and Lite Ferries will practically be sharing the same market and I do not know if enough cargo and passengers will be weaned away from Dapitan and Ozamis ports but then Dapitan port is nearer to Cebu with cheaper fares and rates. Oroquieta Stars is fast among the overnight ferries having relatively big engines and has a design speed of 16 knots. I just thought that if it is worthwhile for Cokaliong Shipping Lines to extend their Ozamis route to Iligan, won’t it be profitable for Roble Shipping to extend their Oroquieta route to Tubod in Lanao del Norte or to Iligan perhaps? Tubod can be one of the origins of the Muslim-owned commuter vans which have a route to Cotabato City via Sultan Naga Dipamoro or Karomatan (these vans go up to Kapatagan in Lanao del Norte). We will have to see if Roble shipping can stick with the Oroquieta route as their competitor Lite Ferries take all challengers very seriously. Funny, but Roble shipping was much ahead of them in the Leyte routes. However, Lite Ferries is very aggressive and is easily the most aggressive shipping company in this decade taking away that mantle from Montenegro Shipping Lines (but then they might just have the same patron saint anyway but the favors and flavors might have changed). 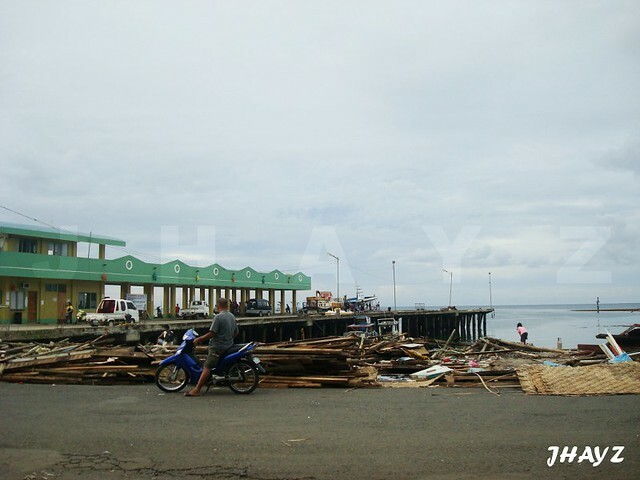 Oroquieta Port by Hans Jason Abao. Might be improved by now. I wish Roble Shipping all the luck in their Mindanao foray and how I wish they will explore more routes because after all the availability of ferries is the least of their concerns (sabi nga sa bus krudo lang ang kailangan para tumakbo). That could also be their case. Plus franchise and some explorations maybe (well, if Medallion was able to use their cargo ships for that so they can too as they also have a lot of freighters now). Sayang naman kasi ng mga barko nila. For introduction, Sweet Lines is a shipping company that started in Tagbilaran, Bohol while William Lines is a shipping company started in Cebu City after the war while having earlier origins in Misamis Occidental before the war. And like many shipping lines whose founders are of Chinese extraction, the founders of both Sweet Lines and William Lines were first into copra trading before branching into shipping. And long after the two became national shipping lines Bol-anons and people of Misamisnons still have a close identification and affinity to the two shipping companies and in fact were the still the prides of their provinces. William Lines became a national liner company in 1945 just right after the end of the war and almost exactly 20 years before Sweet Lines which was just a Visayas-Mindanao shipping company after the war whose main base is Bohol. The company just became a national liner company when it was able to buy half of the ships and routes of General Shipping Corporation when that company decided to quit the inter-island routes in 1965 after a boardroom squabble among the partner families owning it. And so William Lines had quite a head start over Sweet Lines. Now, readers might be puzzled now where is the convergence. 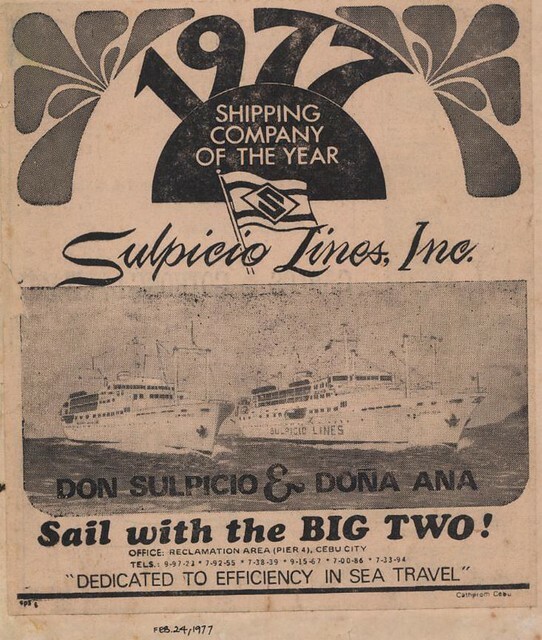 People who are already old enough now might think the convergence of the two shipping companies, a rivalry in fact, started when Sweet Lines fielded the luxury liner Sweet Faith in the Manila-Cebu route in 1970. That ship raised a new bar in liner shipping then plus it started a new paradigm in Cebu, that of the fast cruiser liner which is more dedicated to passengers and their comfort than cargo and has the highest level of passenger accommodations and amenities. It was really hard to match the Sweet Faith then for she was really a luxury liner even when she was still in Europe. That fast cruiser liner was not just some converted passenger-cargo or cargo-passenger ship which was the origins of practically of all the liners of the postwar period until then. Actually, the rivalry of Sweet Lines and William Lines started from convergence. William Lines, in their first 20 years of existence, was basically concentrating on the Southern Mindanao routes but of course its ships which were all ex-”FS” ships then called on Cebu and Tagbilaran first before heading south. Aside from Southern Mindanao, the only other area where William Lines concentrated was the Iligan Bay routes, specifically Iligan and Ozamis, near where the founder and the business of William Lines originated. But in 1966, William Lines started its acquisition of cargo-passenger ships from Europe for conversion here like what Go Thong & Company earlier did and what Sweet Lines will soon follow into. It was actually an expansion as they were not disposing of their old ex-”FS” ships and naturally an expansion of the fleet will mean seeking of new routes or concentration. Sweet Lines, meanwhile, had an initial concentration of routes in the Eastern Visayas as a liner company which was dictated by the purchase of half of the fleet of General Shipping Corporation which consisted of five liners which were all ex-”FS” ships except for the new local-built General Roxas plus the Sea Belle of Royal Lines which was going out of business. But Sweet Lines immediately expanded and was also plying already the Cebu and Tagbilaran routes from Manila, naturally, because their main base was Tagbilaran. Then they also entered the Iligan Bay routes in 1967 and it was even using the good Sweet Rose (the former General Roxas) there which was a heavy challenge to all the shipping companies serving there that were just using ex-”FS” ships there previously. Of course, not to be outdone William Lines later brought there their brand-new Misamis Occidental, their flagship then, in 1970. If William Lines had two frequencies a week to the two ports of Iligan Bay in 1967, then that was the frequency of Sweet Lines too. And if William Lines had twice a week frequency to Cebu and Tagbilaran, then that was also the frequency of the expanding Sweet Lines. Their only difference in 1967 was William Lines had routes to Southern Mindanao while Sweet Lines had none there but the latter had routes to the strong shipping region then of Eastern Visayas while William Lines had no route then there. Another area of confrontation of the two shipping companies was the Visayas-Mindanao regional routes. Sweet Lines was long a power then there especially since that was their place of origin. They then relegated there most of the ex-”FS” ships like the ones they acquired from General Shipping and thus in the late 1960’s they had the best ships sailing there. Meanwhile, William Lines which was also a player there also then used some of their ex-”FS” ships which were formerly in the liner routes (William Lines had a few ex-”FS” ships to spare since they bought five of those from other local shipping companies and they already were receiving former cargo-passenger ships from Europe starting in 1966). So by this time Sweet Lines and William Lines were not only competing in Cebu and Tagbilaran and in Iligan Bay but also in the Visayas-Mindanao regional routes. In the late 1960’s the government provided a loan window for the purchase of brand-new liners and among the countries that provided the funds for that was what was known as West Germany then (this was before the German reunification). From that window, the new liner company Sweet Lines ordered the Sweet Grace from Weser Seebeck of Bremerhaven, West Germany in 1968. William Lines followed suit by ordering a brand-new liner not from West Germany but from Japan which turned out to be the Misamis Occidental and this seemed to be taking the path of the expansion of Negros Navigation Company which was ordering brand-new liners from Japan shipbuilders. As background to that, in 1970 with only the brand-new liner Misamis Occidental William Lines had to fend off Sweet Faith, Sweet Rose, also the first Sweet Sail which was a former liner of Southern Lines that was not an ex-”FS” ship but much faster and at times also the brand-new liner Sweet Grace . William Lines had a few converted cargo-passenger ships from Europe calling in Cebu already on the way to Southern Mindanao then but Sweet Lines had the same number of that also. If William Lines found aggressiveness in ship purchases from the mid-1960’s, Sweet Lines turned out to be more aggressive that in a short period of less than a decade it was already in the coattails of William Lines over-all and even beating it to Cebu, the backyard of William Lines. That was how aggressive was Sweet Lines in their initial ascent as a national liner company. And would anyone believe that in 1970 Sweet Lines was no longer using any ex-”FS” ship in its national liner routes, the first national liner company to do so (when other competitors were still using that type well in to the 1980’s)? So their ad their they were modern seems it was not a made-up stuff only. But that was not even the end of the expansion of Sweet Lines which the company penetrated the Southern Mindanao, the bread and butter of William Lines (note: Compania Maritima, Gothong & Co. and Philippine Steam Navigation Co. were stronger there having more ships) using the eastern seaboard of Mindanao, a route that William Lines do not serve. It is actually a shortcut, as pointed out by Sweet Lines but there are not many intermediate ports that can be served there to increase the volume of the cargo and the passengers (and so Sweet Lines passed through more ports before heading to Surigao and Davao). Besides, the seas of the eastern seaboard are rough many months of the year and maybe that was the reason why Sweet Lines used their bigger former cargo-passenger ships from Europe rather than using their small ex-”FS” ships (in this period their competitors to Davao were still using that type). And so, in 1972, William Lines entered the stronghold of Sweet Lines, which it dominated, the port of Tacloban which the company was not serving before. Was that to repay the compliments of Sweet Lines entering their Iligan Bay bastion and their ports of Cebu and Tagbilaran plus the foray of Sweet Lines in Davao? William Lines entered Tacloban alright but it was a tepid attempt at first by just using an ex-”FS” ship (maybe they just want to take away some cargo). Their main challenge in Tacloban will come three years later in 1975 with their fast cruiser liner Tacloban City, only the third of its type in William Lines after the liners Misamis Occidental and Cebu City and that maybe shows how itching was William Lines in returning the compliments. Or showing up Sweet Lines. Where were the other leading national liner companies in this battle of the two? Regarding Gothong & Company, I think their sights were more aimed at the leading shipping company Compania Maritima plus in filling the requirements of strategic partner Lu Do & Lu Ym which was scooping all the the copra that they can get. Actually, the Go Thong & Company and Compania Maritima both had overseas lines then. Meanwhile, the Philippine Steam Navigation Company (PSNC) and plus Aboitiz Shipping Corporation (revived as a separate entity in 1966 after the buy-out of the other half of General Shipping Corporation) and Cebu Bohol Ferry Company, a subsidiary of Aboitiz Shipping Corporation which are operating as one is competing neither here or there as it seems they were just content on keeping what was theirs and that the interests of Everett Steamship, the American partner of Aboitiz in PSNC will be protected and later cornered when the Laurel-Langley Agreement lapses in 1974. Plus Aboitiz through the Cebu Shipyard & Engineering Works were raking it all in servicing the ships of the competition including the lengthening of the ex-”FS” and ex-”F” ships of their competitors (plus of course their own). Their routes are so diverse and even quixotic that I cannot see their focal point. It is not Cebu for sure and whereas their rivals were already acquiring new ships they were moored in maintaining their so-many ex-”FS” ships (they had then the most in the country). Also in owning Cebu Shipyard & Engineering Works they were confident they can make these ships run forever as they had lots of spare parts in stock and maybe that was through their American connection (not only through Everett Steamship but the Aboitizes are also American citizens). Besides, in Everett Steamship they were also in overseas routes and having overseas routes plus domestic shipping was the hallmark of the first tier of shipping companies then aside from having more ships. In this first tier, the Philippine President Lines (PPL) was also in there but later they surrendered their domestic operations. Meanwhile, the greatest thrust of Gothong & Company it seems was to serve the needs and interests of Lu Do & Lu Ym but it was a strategic partnership that brought Gothong a lot of dividends so much so that before their break-up in 1972 they might have already been ahead of Compania Maritima in the inter-island routes with all the small ships that they are sailing in the regional routes aside from the national routes. Gothong & Company as might not be realized by many is actually a major regional shipping company too and with a bigger area than that served by Sweet Lines and William Lines for they were operating a lot of small ferries whose primary role is to transport the copra of Lu Do & Lu Ym, the biggest copra and coconut oil concern then in the country and carrying passengers is just secondary. In the Visayas-Mindanao routes, the Top 3 were actually Go Thong & Company, Sweet Lines and William Lines, in that order maybe. From Cebu, Go Thong had small ships to as far as Tawi-tawi and the Moro Gulf plus the eastern seaboard of Mindanao and Samar. Sweet Lines, however was very strong in passenger department. In the early 1970’s, many will be surprised if I will say that the fleets of William Lines and Sweet Lines were at near parity but the former had a slight pull. And that was really a mighty climb by Sweet Lines from just being a major regional shipping company, a result of their aggressiveness and ambition. Imagine nearly catching up William Lines, an established shipping company with loads of political connection (think of Ferdinand Marcos, a good friend of William Chiongbian, the founder) and topping the likes of whatever General Shipping Company, Southern Lines and Escano Lines have ever reached. Entering the late 1970’s, Sweet Lines (and William Lines) were already beginning to threaten the place of Aboitiz Shipping Corporation (including the integrated Philippine Steam Navigation Corporation) which will drop off a lot subsequently after they stopped buying ships after 1974. Where did the divergence of the two very comparable shipping companies began? It began from 1975 when William Lines started acquiring the next paradigm-changing type of ships, the surplus fast cruiser liners from Japan which Sweet Lines declined to match but which the rising successor-to-Gothong Sulpicio Lines did. At just the start of the 1980’s with the success from this type of ship William Lines and Sulpicio Lines were already jostling to replace the tottering Compania Maritima from its top perch. It seems Sweet Lines failed to realize the lesson that the former cargo-passenger ships from Europe and the brand-new Sweet Grace and the good Sweet Rose fueled their rise in the late 1960’s and that the acquired luxury liners Sweet Faith and Sweet Home continued their rise at the start of the 1970’s. And these former cargo-passenger ships from Europe also propelled Gothong & Company and William Lines in their ascent. Why did Sweet Lines stop acquiring good liners? Was there a financial reason behind their refusal to join the fast cruiser phenomenon? Well, they were not the only ones which did not join the fast cruiser liner bandwagon. The biggest blunder of Sweet Lines was when they declared in 1978 that henceforth they will just acquire small RORO passenger ships. I do not know if they were imitating Sulpicio Lines which went for small ROROs first (but then that company had fast cruiser liners from Japan). That might have been good for their regional routes but not for the liner routes. And to think their luxury liners Sweet Faith and Sweet Home might already conk out anytime because of old age (yes, both were gone in two years). And so for a short period Sweet Lines have no good liners for Cebu, the time William Lines was fielding their Dona Virginia, the biggest and fastest liner when it was fielded and Sulpicio Lines was fielding the Philippine Princess. What a blasphemy and turn-around! In 1970, just ten years earlier, Sweet Lines was dominating William Lines in the Cebu route. That was a miscalculation from which Sweet Lines never seemed to recover. From fielding the best there, Sweet Lines suddenly had no horse. And so the next chapter of the luxury liner wars in the premier Manila-Cebu route was fought not by William Lines and Sweet Lines but by William Lines and the surging Sulpicio Lines. In just a decade’s time Sweet Lines forgot that it was modernity in ships and aggression in routes that brought them to where they were. When Sweet Lines acquired the Sweet RORO in 1982 to battle again in the Manila-Cebu route it was as if they imitated the strategy of Carlos A. Gothong Lines Inc. (CAGLI) to go direct into the RORO or ROPAX paradigm and bypass the fast cruiser liners altogether (but then where was CAGLI in the totem pole of liner companies even if they bypassed the fast cruiser liner stage?). But by then their former cargo-passenger ships from Europe were already failing and will very soon be gone. The net effect was the Sweet Lines liner total was regressing even though they acquired the Sweet RORO 2 in 1983 to pair the Sweet RORO. The reason for this is its former cargo-passenger ships from Europe were already in its last gasps and the small ROROs were never really suited for liner duty except for the direct routes to Tagbilaran and Tacloban. If studied it can be shown that when a liner company stops at some time to buy liners sufficient in numbers and size then they get left behind. This is also what happened to Compania Maritima, Aboitiz Shipping Corporation and Escano Lines, the reason the fell by the wayside in the 1980’s). And that is what happened to Sweet Lines just a little bit later and so its near-parity with Williams Lines which surged in the 1970’s and 1980’s was broken. And that completed their divergence. In the early 1990’s, Sweet Lines will completely fail and stop all shipping operations, in liners, regional shipping and cargo operations (through their Central Shipping Corporation) and sell their ships with some of the ships sadly being broken up (a few of their ships were also garnished by creditors). Meanwhile, William Lines was still trying then to catch up with Sulpicio Lines that had overtaken them through a big splash in big and fast ROPAXes in 1988. Sweet Lines benefited in the middle of the 1960’s with the quitting of General Shipping and Royal Lines. Later, William Lines, Sulpicio Lines and Sweet Lines benefited with the retreat of Aboitiz Shipping Corporation in the late 1970’s. In the next decade, William Lines and Sulpicio Lines benefited from the collapse of Compania Maritima in the crisis years at the tailend of the Marcos dictatorship. Sweet Lines did not benefit from that because they were not poised to because of their grave error in 1978. When Sweet Lines collapsed in the early 1990’s it seems among those which benefited was the revived Aboitiz Shipping Corporation which was helped in getting back to the liner business by Jebsens of Norway (think SuperFerry). Well, that’s just the way it is in competition. It is a rat race and one can never pause or stop competing as the others will simply swallow the weak. Among the local passenger liner shipping companies, it was William Lines which believed the most in the fast cruiser liners. They acquired the greatest number of them and promoted them well. Those became the engines of William Lines in their quest to be Number 1 in inter-island shipping and surpass the long pillar of inter-island shipping, the somewhat-legendary Compania Maritima which has Spanish origins and politically well-connected. Well, Don William Chiongbian was politically very well-connected, too as President Ferdinand Marcos was a good friend of him. “Fast” is a relative term. In the 1960’s, that meant just about 16 knots. In the period when William Lines bet big on fast cruiser liners, the 1970’s, that already meant about 18 knots or better. In the late 1980’s and especially in the 1990’s, “fast” meant 20 knots already. In the subsequent decades, “fast” for liners did not creep higher than 20 knots because the fuel prices that crept up and patronage for liners has already began to weaken gradually. In the 1970’s, William Lines invested in six fast cruiser liners. That began with two brand-new ships, the “Misamis Occidental”, which arrived in 1970 and named after the province origin of the founder Don William Chiongbian. In 1972, the “Cebu City” came and it then engaged in a legendary battle with the first “Sweet Faith” of Sweet Lines in the premier Manila-Cebu route at 20 knots. The fast cruiser liners of William Lines were named after cities of the country that were also their ports of call. When effects of “free float” of the peso (which meant uncontrolled devaluation in direct language) took hold, the Phillippine shipping companies can no longer afford to acquire brand-new ships and so after 1972 all the liner acquisitions were second-hand already. However, many of these were ships just a decade old or even younger. And so, four second-hand cruiser liners came to William Lines with a gap of one year in their arrivals. The next fast cruiser to come to William Lines was the “Tacloban City” which they acquired in 1975. This was followed by the “Manila City” in 1976, the “Cagayan de Oro City” in 1977 and finally the “Ozamis City” in 1978. I do not know if “Dona Virginia” can be added to the list as she was also RORO (but with cruiser lines) and she came in December of 1979. Among the named cruisers it was only the “Tacloban City”, the smallest which has difficulty reaching 18 knots but 17.5 knots is already near there. 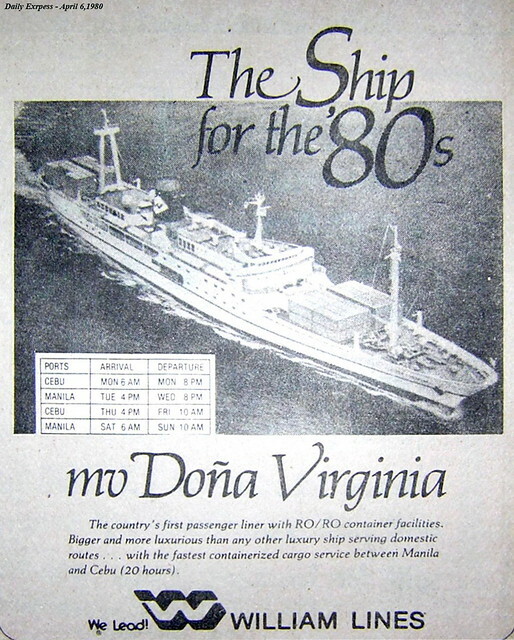 After that series came a long respite for William Lines in the acquisition of passenger liners and their next acquisition already came in 1987, a RORO already, the “Masbate I”. In that interregnum, they concentrated on building their container ship fleet which was called the “Wilcon”. Two in that series were RORO Cargo ships that can also carry passengers, the “Wilcon I” which came in 1978 and the “Wilcon IV” which came in 1979. The “Misamis Occidental” was a ship ordered by William Lines from Hayashikane Shipbuilding & Engineering Company and she was built in their Nagasaki shipyard and she was delivered in December of 1970. The ship measured 88.9 meters by 13.5 meters and her cubic volume expressed in gross tons was 1,945. The ship had a top speed of 18 knots and she had a passenger capacity of about 650. She could have sailed faster with a more powerful engine but maybe William Lines did not see the “Sweet Faith” coming for Sweet Lines. William Lines referred to the “Misamis Occidental” as their first luxury liner. The “Cebu City”, a great flagship was ordered by William Lines from Niigata Engineering and she was built in Niigata, Japan and delivered on September, 1972. Her dimensions were 98.8 meters by 13.8 meters with a cubic measure of 2,452 gross tons. Powered by a 5,670-horsepower Hitachi engine she had a top speed of 20.5 knots and she had a passenger capacity of 807. I am sure that when William Lines ordered her there was a specification that the ship will be able to at least match the “Sweet Faith” of Sweet Lines in speed and also in the accommodations. The name of the ship clearly indicated her first route. The “Tacloban City”, originally the “Naminoue Maru” of Oshima Unyu was built by Sanoyas Shoji Company in 1962 and she came to William Lines in 1975. Her measurements were 91.1 meters by 12.8 meters and her cubic volume was 2,244 gross tons. She had an original speed of 18.5 knots from her single 5,800-horsepower Mitsubishi engine but being no longer new when she came she was only capable of 17.5 knots when she was fielded here. She was advertised by William Lines as the “Cheetah of the Sea” and she had a passenger capacity of 1,274. She was the first in William Lines to breach the 1,000-passenger capacity mark and she had the highest passenger capacity in William Lines fleet when she was fielded. The name of the ship also indicated her first route and she was designed to take on the “Sweet Grace” of Sweet Lines and the “Don Sulpicio” of Sulpicio Lines which in the route and both the two had airconditioning. The “Manila City” which came in 1976 was originally the “Nihon Maru” of Mitsubishi Shintaku Ginko. She was built by Mitsubishi Heavy Industries in their Shimonoseki yard in 1970. The ship had the external dimensions 106.3 meters by 14.0 meters and her cubic measurement was 2,998 gross tons. From her twin Mitsubishi engines developing 8,800 horsepower, she had a top speed of 20.5 knots. Her design speed was a match to “Cebu City” but being older she was some half knot slower. However, when she came she had the highest horsepower in the William Lines fleet. She could have been named the “Davao City” to reflect her first route but William Lines already had a ship by this name. Being the biggest in the William Lines passenger fleet, William Lines assigned her a worthy name. The “Manila City” had a passenger capacity of 1,388. She was the best ship in the Davao route when she was fielded there. The “Cagayan de Oro City” which arrived in 1977 was the former “Hibiscus” in Japan or the “Haibisukasu” of the group Terukuni Yusen KK. She was also built by Mitsubishi Heavy Industries or MHI in 1970 in the Shimonoseki yard. She was 89.2 meters in length, 13.0 meters in breadth and 1,999 gross tons in cubic capacity. She had two Niigata engines developing 7,000 horsepower which gave her a top speed of 19 knots. The ship was assigned the route of her namesake city and she was the best ship in the route when first assigned there The “Cagayan de Oro” had a passenger capacity of 1,200. The “Ozamis City” which was the “Fuji” of the Mitsubishi Shoji Kaisha in Japan was another ship built by Mitsubishi Heavy Industries in the Shimonoseki yard. The ship was completed in 1965 and she came in 1978 and she had the dimensions 91.7 meters by 13.3 meters with 2,865 gross tons as cubic measure. She had a single 4,900-horsepower Kawasaki-MAN engine which gave her a top speed of 18.5 knots. This ship was also assigned to her namesake city and held that route for a long time. She was also the best ship to Ozamis when first assigned there. Her passenger capacity was 1,214. The “Manila City” was the biggest of the six and she also had the highest passenger capacity and she was the speediest together with “Cebu City”. She was referred to by William Lines as the “Sultan of the Sea” and maybe those were the reasons why (and maybe there are also true sultans along her route). This ship held the Davao route for a very long time until she was consumed by fire. She was never assigned another route in her career here indicating her specs were high that she was still competitive one-and-a-half decade after she was first fielded. As flagship, the “Cebu City” held the Manila-Cebu route and was plying it twice week. The fast among the fast “Manila City” was holding the long route to Davao via Zamboanga. The “Cagayan de Oro City” was sailing the Manila-Dumaguete-Cagayan de Oro-Iligan-Cebu route. The “Misamis Occidental” was being used in the Manila-Cebu-Ozamis-Iligan-Dumaguete route. The “Tacloban City” was sailing the Tacloban route twice a week and one of that calls in Catbalogan too. Finally, the “Ozamis City” was running the overnight Cebu-Ozamis route. By and large the six (the seventh was the “Dona Virginia”) were the primary liners of William Lines in the 1970’s up to the end of the 1980’s. William Lines was relatively late in the fielding of ROROs and the six shouldered on even though the competition already had RORO liners. It will already be 1989 when William Lines will be able acquire a big RORO liner, the “Zamboanga City” and the RORO liner flagship, the “Sugbu” will arrive only in 1990. The six had successful careers but the majority did not reach old age. Of the six, only the “Misamis Occidental” and the “Tacloban City” will escape hull-loss accidents. The “Cagayan de Oro City” will be hit by fire in Ozamis City port on June 22, 1985. She capsized there but she was refloated and towed to Cebu where she was broken up in 1986. The “Ozamis City” will be wrecked off Siquijor on October 22, 1990. She was towed to Manila for demolition where she was broken up on November of 1991. “Manila City”, meanwhile, will be hit by a fire in Cebu Shipyard on February 16, 1991. She will be declared a constructive total loss or CTL and she was broken up in 1992. The most publicized loss among the six was the sinking of “Cebu City” on December 1, 1994 after a collision with the Malaysian container ship, the Pacific International Lines’ “Kota Suria”. This happened at the mouth of Manila Bay when she was late on her way and hurrying to Tagbilaran, Bohol. About 145 persons lost their lives in that accident that happened before dawn. The “Misamis Occidental” and “Tacloban City” still acceded to the “Great Merger” (which failed) that created the giant shipping company WG&A Philippines. “Tacloban City” was later relegated to the subsidiary Cebu Ferries Corporation but did not sail long in that company. Not being a RORO she was offered for sale early and in 1997, the Sampaguita Shipping Company of Zamboanga purchased her and she became the “Sampaguita Ferry 1” of the said company. The “Misamis Occidental” which was then just being used as an Ozamis-Cebu overnight ferry before the merger was also sent to the WG&A subsidiary Cebu Ferries Corporation and also offered for sale early because she was not a RORO. Having no takers, she was refurbished and re-engined and she was given the new name “Our Lady of Montserrat”. However, she was disposed off to the breakers within two years. She was broken up in China on June 15, 2000. Today, there are no more traces of the six.